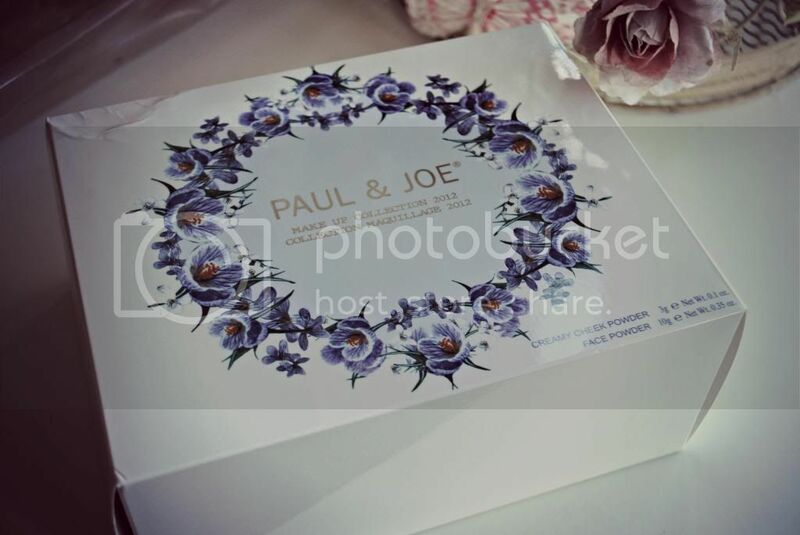 A little while ago I was sent some absolutely gorgeous Paul & Joe products to review; the 2012 Winter Wonderland Collection in 001 Frozen Lilac to be precise. I've always been a huge fan of Paul and Joe's beautiful packaging, but I've never had the chance to sample the products for myself. After attending the Paul and Joe event a few months ago I fell completely in love with the brand, so I just had to share with you this stunning collection. 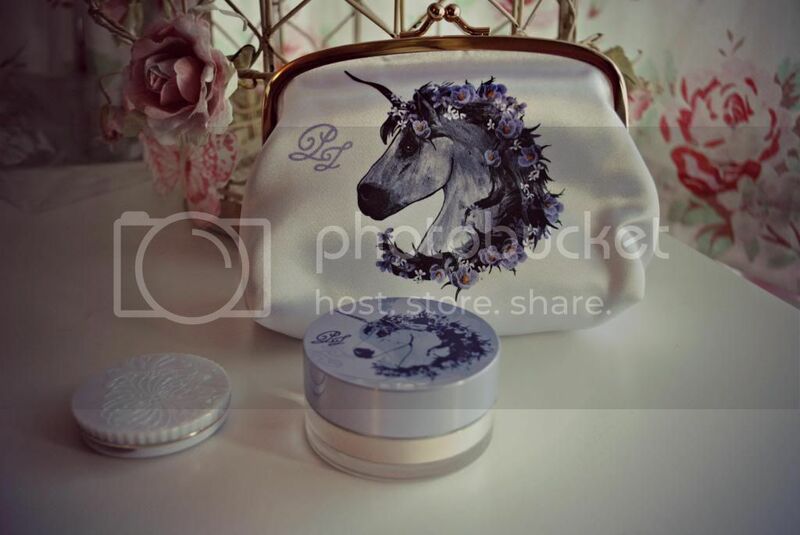 The first thing that drew me to the collection was the beautiful Unicorn illustration featured on the cosmetic case and powder. I'm obsessed with unicorns, fairies, and anything remotely magical, so this is completely up my street. The cosmetic case it comes with is so gorgeous, I don't want to use it in case I spoil it! It's a satin purse creation, that's a good enough size to fit a few products in but small enough to carry in your handbag. As much as I want to use it for makeup, I have a feeling I will mess it up so I might just use it as a jewellery pouch or something for now. I'm very precious when it comes to make up bags! So, onto the products in the collection. 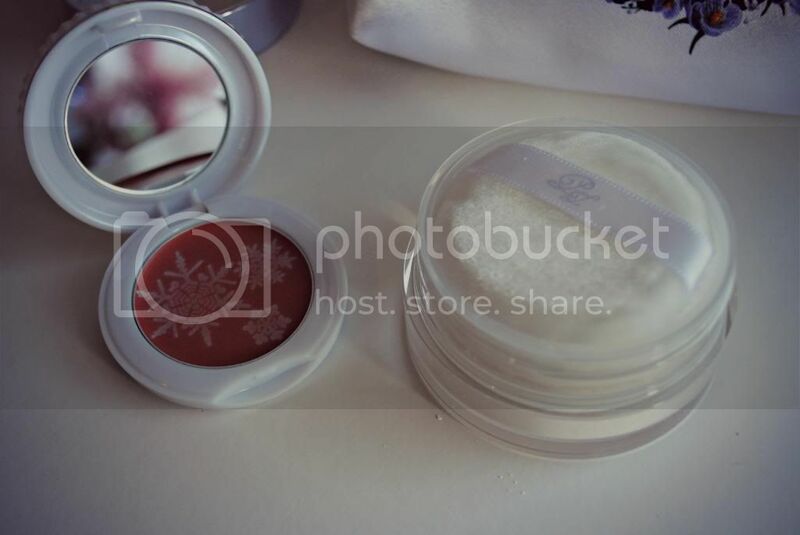 The set features two products; a face powder and a creamy blush. 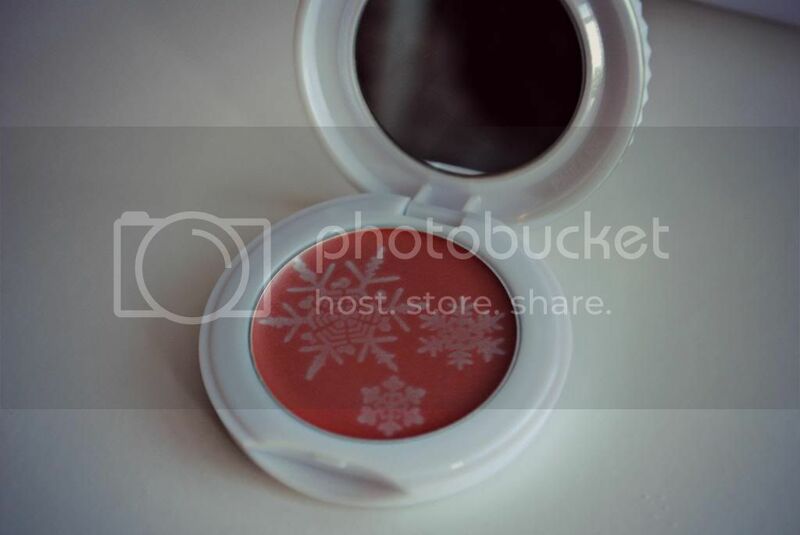 The face powder is the same for both versions of the set (it comes in 001 Frozen Lilac and 002 Sleigh Ride) but the blush is different (Frozen Lilac is more of a warm pinky rouge, whereas Sleigh Ride has a coral tint to it). First up; the face powder. 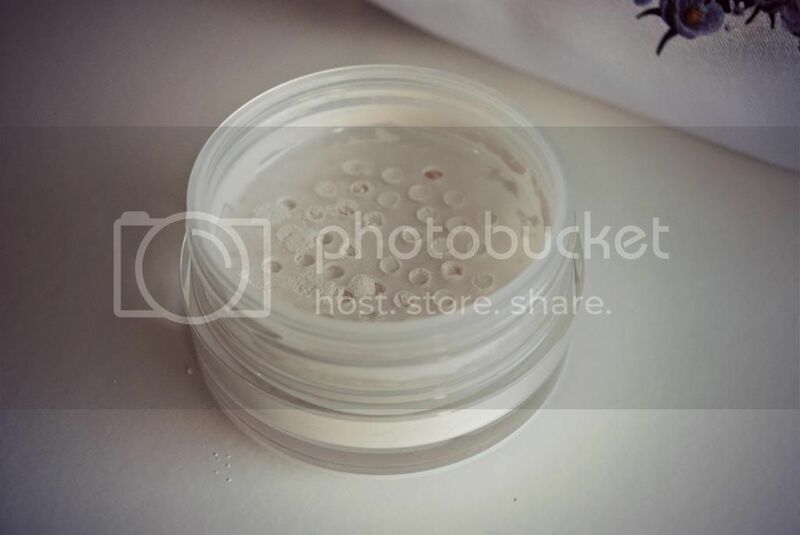 I have always been a fan of translucent face powders - having oily skin I need all the mattifying I can get, and these are generally the best things for it. This is no different. I absolutely love this face powder - not only does it do the job of keeping my skin fresh, oil-free and luminous, it also smells of roses - beautiful! I can't fault it at all and it's currently my go-to face powder. 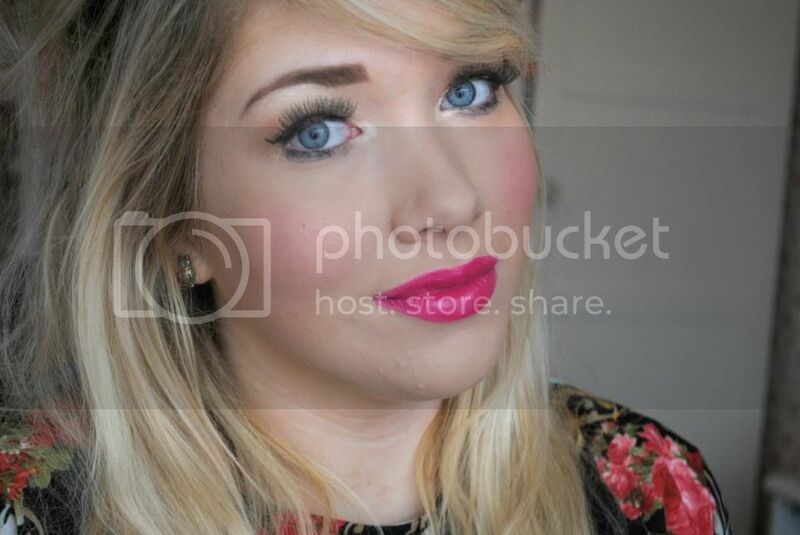 I was a touch apprehensive about trying the blush. I'm not a cream blush girl at all - as I said, I get oily skin and generally creamy blushers = shiny skin disaster. However, I was really surprised when it came to trying this product. I used my normal blush brush and gently swirled the product into my skin, and it gave a gorgeous, semi-shimmery pink glow. The beautiful embossed snowflakes only lasted me the first time I used it, but nevertheless I'm really happy with this product. It's a bit different to the blushes I usually go for, but I'm really impressed with how natural the colour looks against my skin - a real beautiful, subtle pink sheen, as you can hopefully see in the picture above. The collection is available at Beauty Bay, and is currently reduced slightly. Have you tried Paul & Joe's products before? Are you a fan?